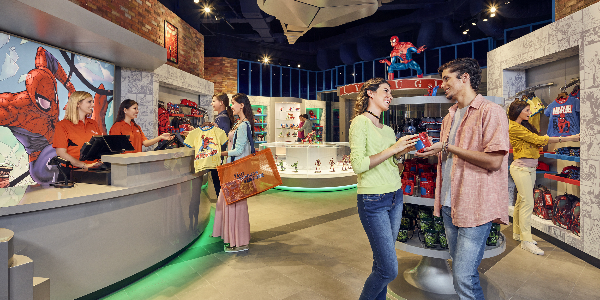 Iconic MARVEL Super Hero favorites including Spider-Man, The Hulk, Iron Man, Thor and The Avengers are all gearing up in the MARVEL zone to deliver their most exciting appearance ever. 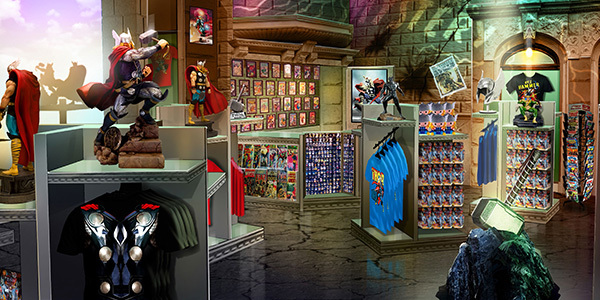 This action-packed zone is a must-visit destination! 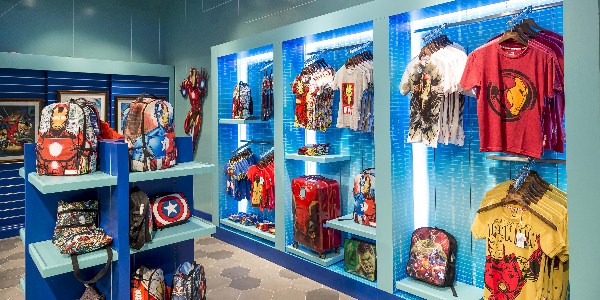 Join Marvel’s Iron Man, Thor, Black Widow, Hawkeye, Captain America and the Hulk as they take to the skies to battle the evil villain Ultron. 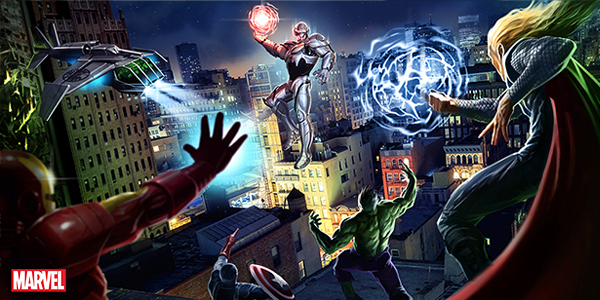 Earn your place on The Avengers team and help to save the day! 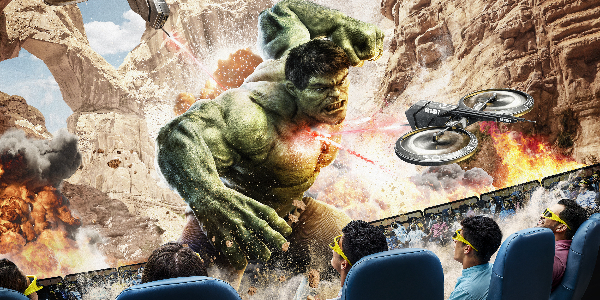 Take your motion-seat in our one-of-a kind, state-of-the-art stereoscopic cinema dome to see Marvel’s Hulk, the Incredible Avenger, battle against his deadliest foe yet in stunning 3D. 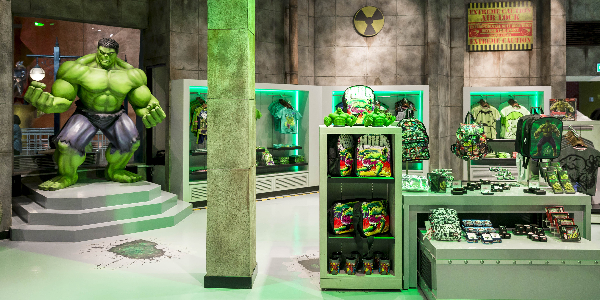 You will never forget this 360-degree, fully immersive viewing experience, of one of Hulk’s greatest battles. 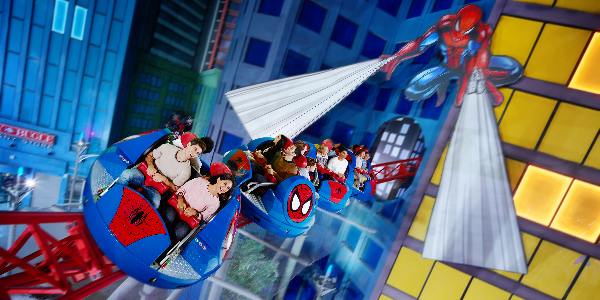 Swing through the city with Marvel’s famous web-slinger. Battle Spider-Man’s nemesis Doctor Octopus and stop him from stealing the city’s energy supply. 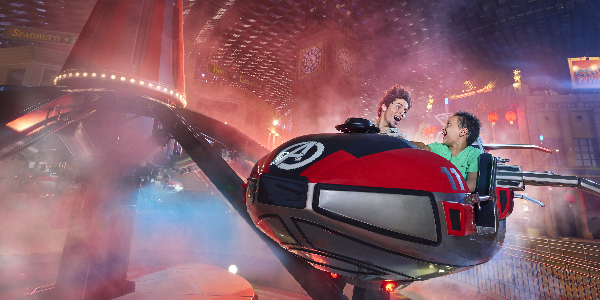 This is one ride you won’t want to end. 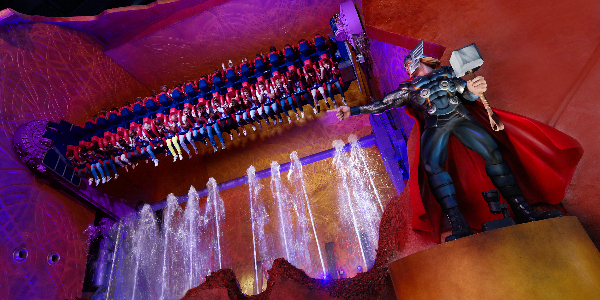 Overload your senses on this dizzying experiment in physics… Be pinned to your seat by the laws of gravity as Marvel’s Thor, the Mighty Avenger, attempts to rescue you from the clutches of Loki, God of Mischief. Take control of your own two-seat Quinjet and take flight with other Quinjets in a fun race… Suitable for all ages, join Marvel’s finest on this fun ride. 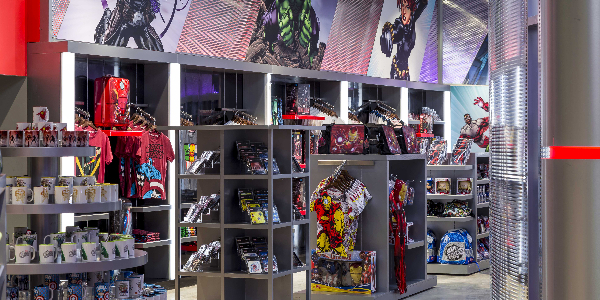 An old-style city favorite located in the Marvel Zone. 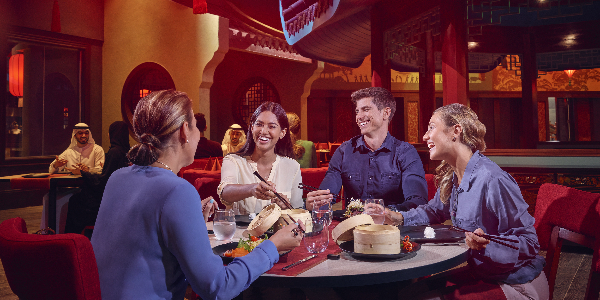 Order a specialty Pan-Asian dish or two in this sharing style casual dining restaurant and feel the heat generated by spectacular flaming woks in the open kitchen! 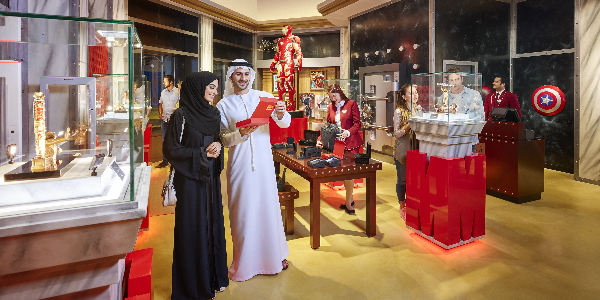 Bring your friends and family for an experience you’ll not soon forget. 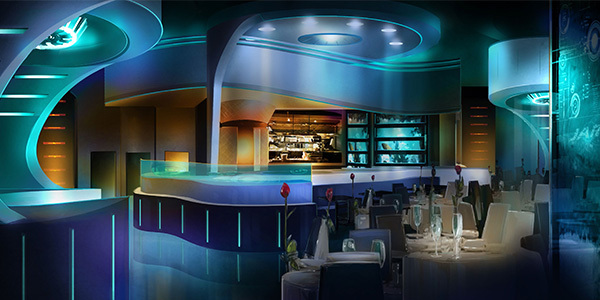 Where better for an unforgettably fun meal than the bustling Mama Scano’s, where the hardworking staff uphold the best of Italian culinary traditions, laughing and joking with guests (and each other) throughout the day and night. 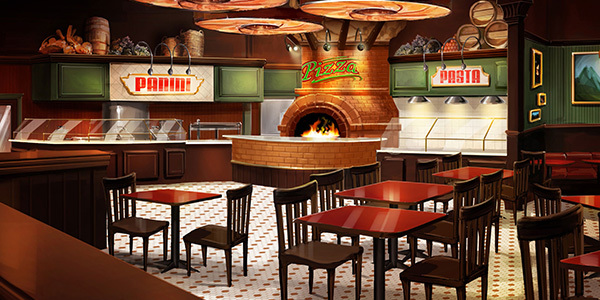 The best wood-fired pizza and pasta in town, Mama Scano's has perfected the art of raucous hospitality over generations. 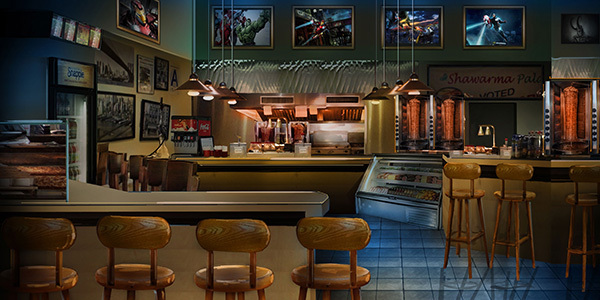 Grab a quick bite at The Avengers’ favorite hangout… sit and eat or grab and go while enjoying the urban vibe. Nothing helps a Super Hero fight battles better than a well-crafted shawarma. Our team has a range of different takes on the shawarma sure to satisfy any budding Super Hero’s craving.